Greg printed some tiny 5x7 prints all the way up to a 24 inch poster from an iPhone photo. The prints look great, especially at a proper viewing distance which Greg describes in the video. 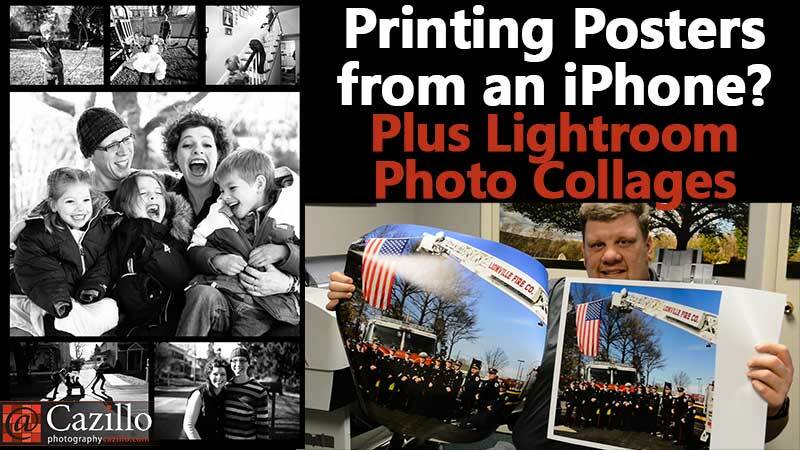 While the printers were working away, Greg put together a collage in the Lightroom Print Module. He showed how to make sure the prints are sized correctly and a few tricks like how to overlay a transparent png file on top of your collage. If you have any questions ask away! Keep shooting!